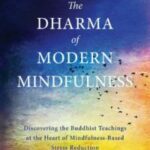 What Might the Buddha Say About Secular Buddhism? Scott Lohman from The Humanists of Minnesota interviews Ted Meissner on “Humanism and Buddhism”. Learn about the many commonalities between Humanism and Secular Buddhism.